In 1974 the school was taken over by the government and it began to take more African pupils and teachers. The first African Headmistress was Mrs R. Kariuki. She took over from Miss Barnes in January 1977 and left in July of the same year after handing over the school to Mrs. M. W. Wanjohi on 22nd July 1977 to August 1999. After Mrs Wanjohi’s retirement Mrs Rosemary Saina took over in September 1999 to 2015 when she retired and Mrs Lucy Mugendi who was a deputyAdministration took over on acting basis until January 2016 when Mrs. Florah Mulatya took over to date. There was school committee as early as 1932, whose members dedicated themselves to the well being of the school, in 1960, these duties were transferred to the board of governors. The school has had very able Heads of the board of governors e.g. 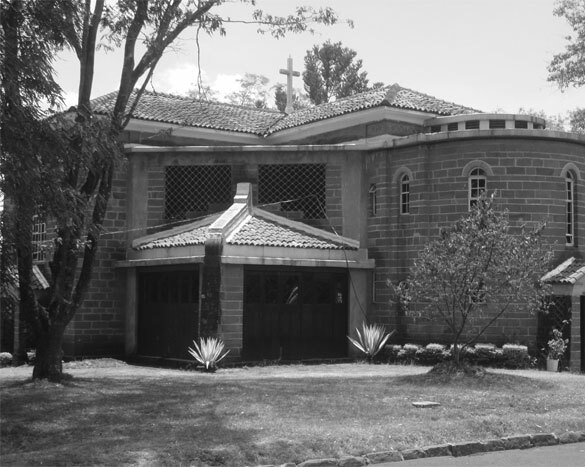 Sir Phillip Mitchell (1960-1963), Mr J. G. Francis(1963-1965) and it is particularly indebted to Mr Charles Njonjo who served the school for 10 years (1966-1976), Mr Geoffrey Kariithi (1977-1988), Dr. Eddah Gachukia (1984-1988) became the first lady chairperson of the board, Ms Margaret W. Kenyatta(1989-1996), Mrs Damaris Ayodo who serve in the board from 1975 became chairperson (1996-1999), Mrs Rebecca Masese took over from1999 to 2016, when Mr. Njuki took over to date. Apart from these individuals, the government gave all the monies for the capital development. In the early 1980s cost sharing between the parents and the government was effected. The present Parents Teachers Association was started on 12th July, 1979. The idea was proposed by the Professor J.M. Mungai who became the first chairman. The following people acted as the care takers in the executive committee until the Annual General meeting was held. Professor Joseph M. Mungai, Ven. John Kago, Professor F. A. Mutere, Professor V. K. Gupta, Mrs M. Mpaayei, Mr. B.O. Okudo, Mrs Grace Ogot, Mr. C. A. De Ameida, Mr Davidson Ngini and M. L. Handa, Deputy Registrar General. The P.T.A. was registered with the Attorney General in October 1979 and Professor Joseph Mungai became the first P.T.A. chairman until 1985 when Mr Wasunna took over up to February 1995. Thereafter, the chairpersons of the P.T.A. were: Prof. K. Wambari (1995-1997), Mr. P. E. Mwaisaka (1997-1998), Mr Lee Muthoga (1998-1999), Major (Rtd) C.N. Diffu (2007 -2009), Prof. J. Kaimenyi (2008 – 2009) and the current P.T.A. chairman is Mr G. S. Mutungi who took over in 2009 to date. It is worthwhile noting that the school enrolment has gradually increased over time; in the late 30s the school had 35 students, in the 40s, 150 and this rose to 500 in the 50s. This upward trend continued in the 60s with a total students’ body of 650. In the 70s the total population had risen to 700.The 80s and 90s had an enrollment of between 800 to 850. Currently the school population stands at 1200 students.